The criminal court process is complex and there are numerous steps involved before a case is resolved and ultimately closed by the court. It is important to understand the procedural steps involved in order to understand how the process can impact your criminal or DUI case. Talk to a local attorney that understands the criminal justice system and works hard to keep you from being convicted of criminal or DUI charges. Understanding the criminal court process is very important when you are facing criminal, DUI, or traffic offenses. When dealing with the Courts, district attorneys, probation, and law enforcement officials, it is important to have an experienced lawyer on your side. Understanding the criminal court system is very difficult and unless you are familiar with the criminal courts in Fresno County, including military diversion and other alternative programs, it is impossible to predict the outcome of a case. Police are only required to have reasonable suspicion to stop an individual when a crime has or will be committed. Most peace officers use reasonable suspicion to stop and detain a motorist. The reasonable suspicion standard is a far less stringent standard than probable cause, but it is more than a hunch or unparticularized suspicion. It does not require hard evidence, but there must be facts or circumstances that would lead a reasonable person to believe that a suspect has, is, or will commit a crime. Reasonable suspicion looks at the whole picture, which is called the totality of the circumstances. To determine if reasonable suspicion exists, the conductor activity, which may be criminal or even noncriminal, must rise to a level of suspicion that a crime has occurred or will occur. The officer must have specific articulable facts to infer the law has been violated. An arrest will usually occur at or near the time of the alleged crime the person is suspected of committing. The Fourth Amendment authorizes police to arrest as long as there is "probable cause". Probable cause is reliable evidence that a crime was committed and the person accused committed the crime. Probable cause is established through factual evidence, and not just suspicions or hunches. It can be established through observation, through witnesses, on expertise or knowledge of criminal activity, or on circumstantial evidence (indirect evidence). The standard in establishing probable cause is flexible and there is a balancing test that must weigh law enforcement’s right to protect the public and the public from unreasonable harassment. ​If you are facing a felony charges, such as felony DUI, burglary, domestic violence, white collar crimes, drug crimes, DUI with priors, or probation violations, it is difficult to face these charges alone, and we will make sure we are with you every step of the way. In felony cases, a defendant is entitled to a preliminary hearing within ten days of the arraignment. A preliminary hearing is a hearing that is similar to a trial, but there are no jurors and the amount of proof required is considerably lower. At the hearing, the prosecutor will present evidence to show probable cause exists to believe a crime was committed and the defendant committed the crime. Probable cause must be proved for all crimes, prior convictions, enhancements, and special circumstance allegations, unless it is a sentencing enhancement. In that case, it will be proved at trial. Although misdemeanor sentences are not as severe as a felony case, the misdemeanor court system can be overwhelming. Misdemeanor are punishable by fines and you can be placed in the county jail for up to one year for each misdemeanor charge. If you are charged with a misdemeanor offense, such as a DUI, suspended license, shoplifting, theft crimes, assault, battery, or hit and run, it is important to take these cases seriously and understand everything that you are agreeing to when you are in court. The most common misdemeanor motion is a motion to suppress evidence because it is in violation of the defendant’s constitutional rights. The typical motion will try to suppress searches, seizures, and confessions. In driving under the influence cases, it is common to challenge the stop, the arrest, and confessions you may have made without the benefit of Miranda. Misdemeanor charges are serious and without a dedicated lawyer, you can be in very serious trouble. By contacting our office, we will make sure you receive the very best representation for your case. If you are facing a traffic offense, you are facing fines and DMV points on your record. Common traffic charges are speeding, running red lights or stop signs, illegal lane changes, or cell phone tickets. If you are a commercial truck driver, or you cannot receive any points on your DMV record, you need a dedicated traffic attorney that understands the traffic court system. Some of the worst traffic infraction cases are going over 100 mph, log book violations, reckless driving, and certain alcohol related offenses. Each of these charges require a personal appearance or you must hire an attorney to appear on your behalf. Other traffic related charges include DUI offenses, suspended license charges, or hit and run crimes. These charges are actually misdemeanors, and are even more serious than traffic offenses. By having a local criminal attorney in your corner, you will have a better chance of obtaining the best result for your traffic case, including dismissals, fine reductions, and no points on your driving record. Again in most traffic cases, your personal appearance is not ​required because an authorized traffic attorney can appear on your behalf. Don't Face criminal, DUI or Traffic charges alone. You have an absolute right to retain counsel, and you have the right to retain the attorney of your choosing. If you wish to retain an attorney, the court must give you a reasonable continuance to retain an attorney. We understand that being charged with a crime in Fresno is an unexpected and horrifying ordeal. By contacting a criminal attorney as soon as possible, it is possible to defend the charges against you. We can not only protect your rights, but you will begin to feel better when you know someone is there fighting for you. At the Law Offices of Tina M. Barberi, PC, we have handled thousands of criminal, DUI, and traffic law cases and we are well prepared to handle your case. 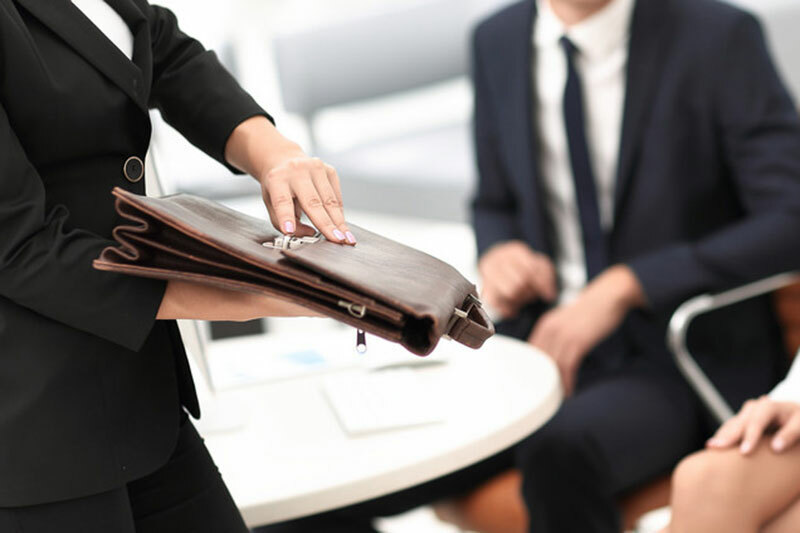 We will go through your case like it is our own to find the any defenses that are available to you. As you may expect from a criminal lawyer, our law firm will strive to achieve excellent results for each and every client. Contact us today to see how we stand out among the other criminal lawyers because we will make your case our top priority in order to get the best possible result for you.